My favorite part of this piece is the border. Yellow and navy blue are the school colors of Epping Heights, where my older daughter S went for most of her kindergarten year. They loved her very much there, and treated her well, so we decided to create a piece together for them. 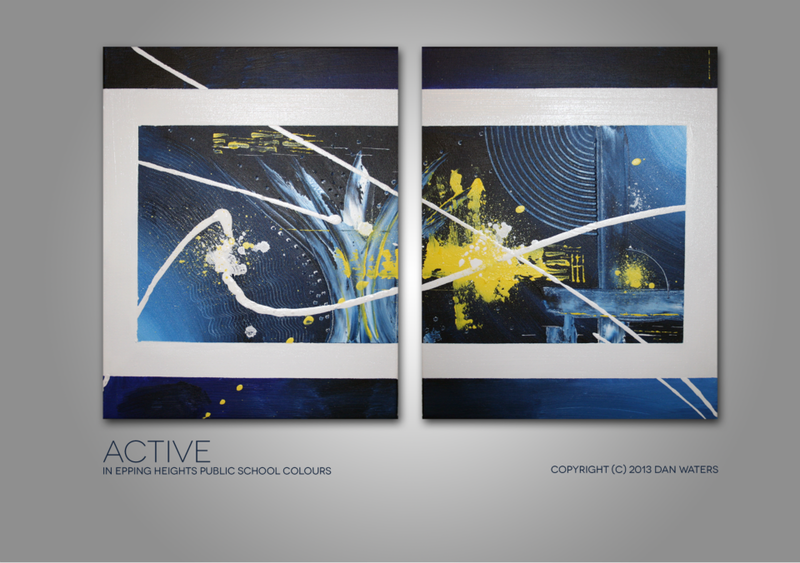 Yellow and blue are tri-complements so I was pleased when this worked out visually.